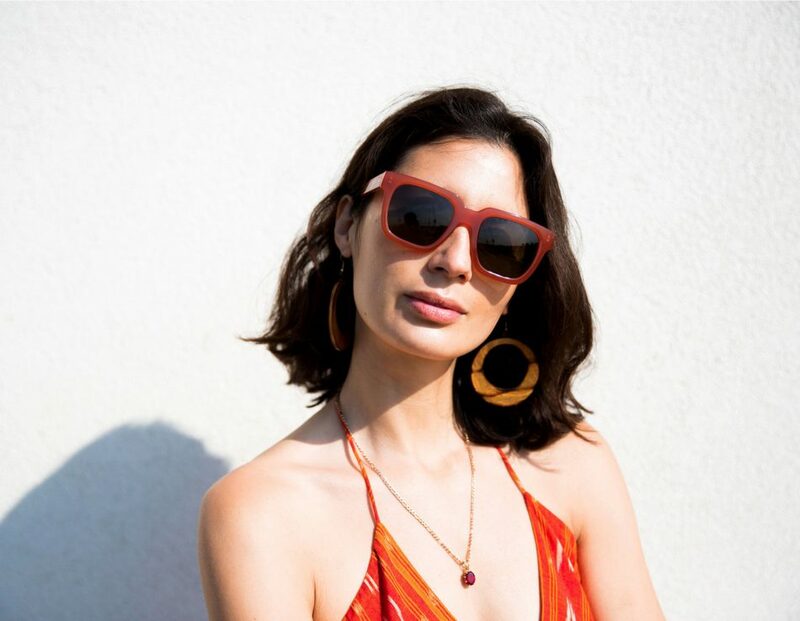 We love Jasmine Hemsley’s summer style. And what makes it even better is that Jasmine is an advocate for sustainable and ethical fashion, writing about it in her Fashion With Feeling feature on her blog, so we were delighted to spot her wearing our orange sun dress last week. To learn more about Jasmine’s Fashion with Feeling challenge, click here. *Quote taken from MarieClaire, click to read the full interview.